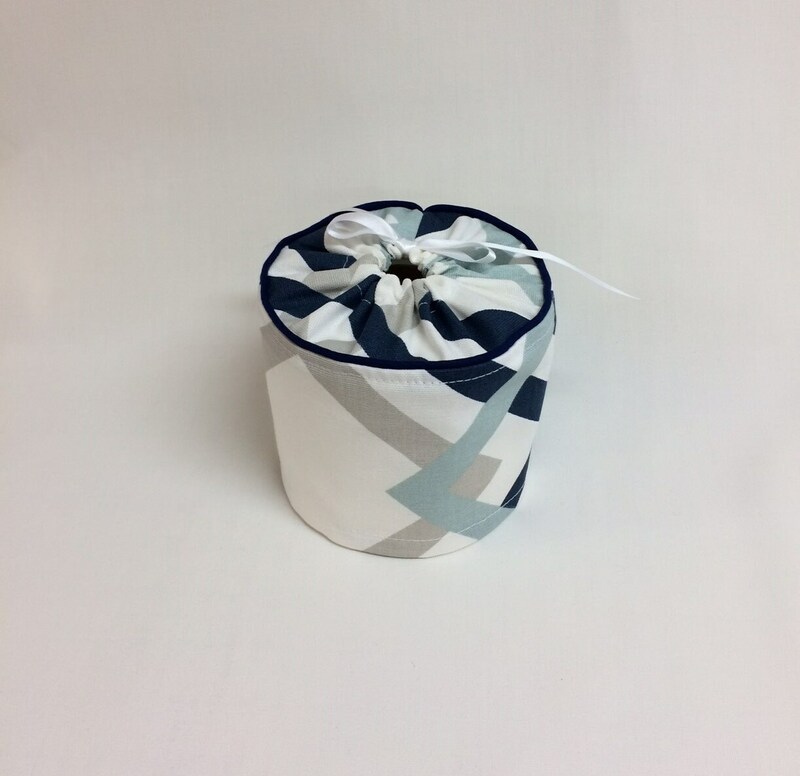 This toilet paper cover features Blue and white as the main colors with a little grey accent too. 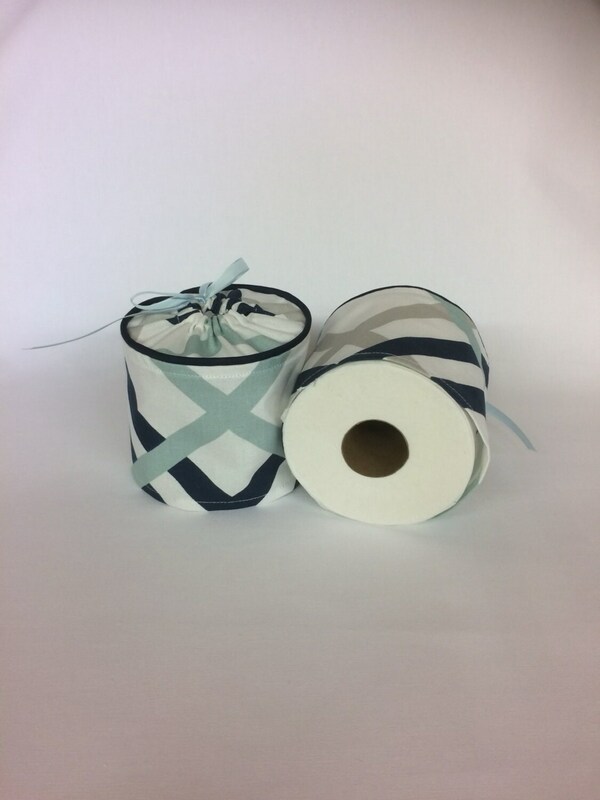 Works with many different decorating styles including a nautical bathroom. 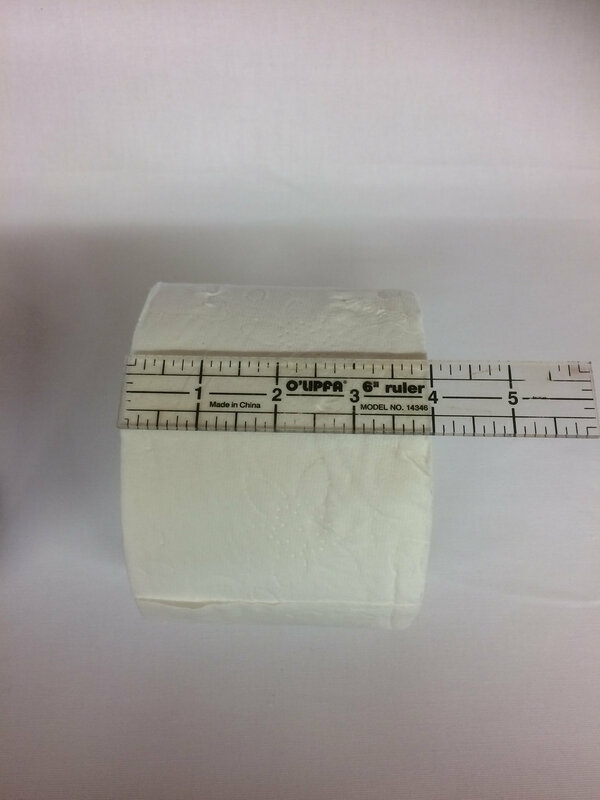 Designed to fit a standard size toilet paper roll measuring 4 1/2" x 4". 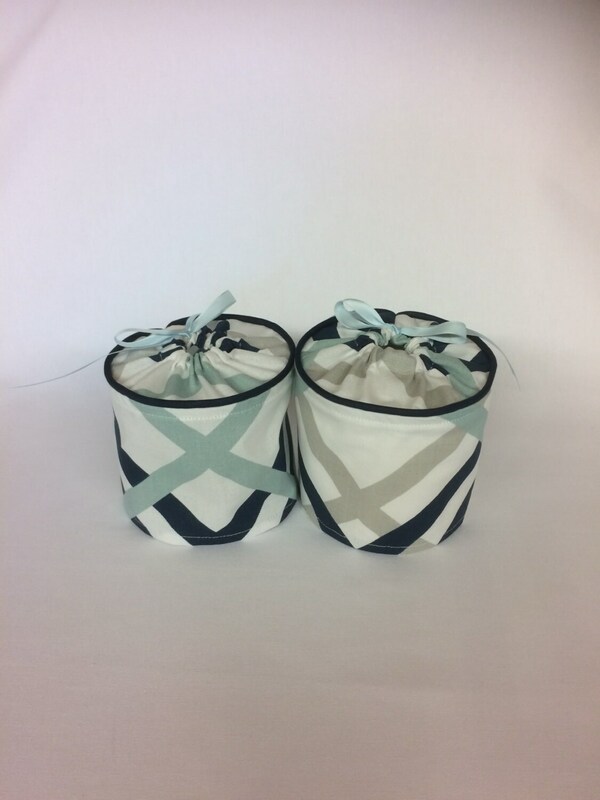 Each is using a designer cotton fabric, featuring a piping accent and ribbon tie. Easy to use too. 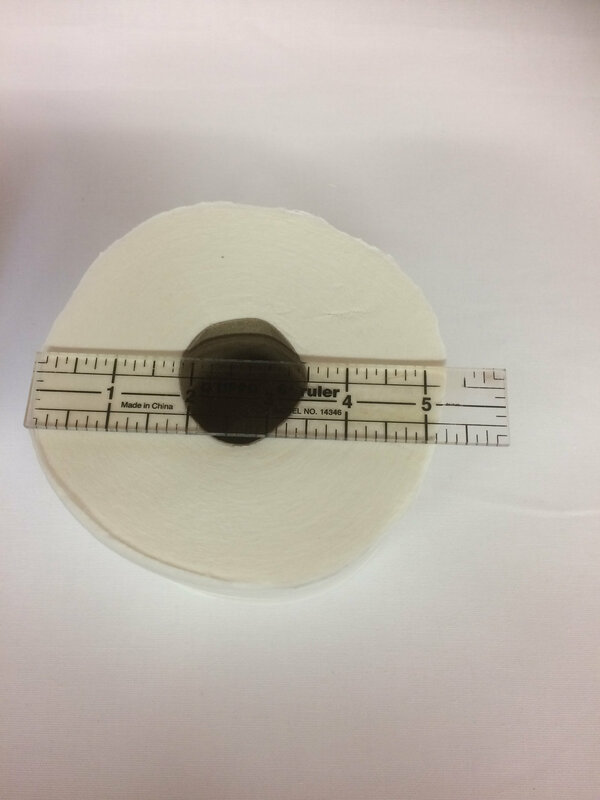 It simply slips over your spare roll, keeping it looking great until needed. Please note, fabric placement varies between covers. reference found in our photos. Ordering is easy. Simply choose how many you need from our drop down menu. 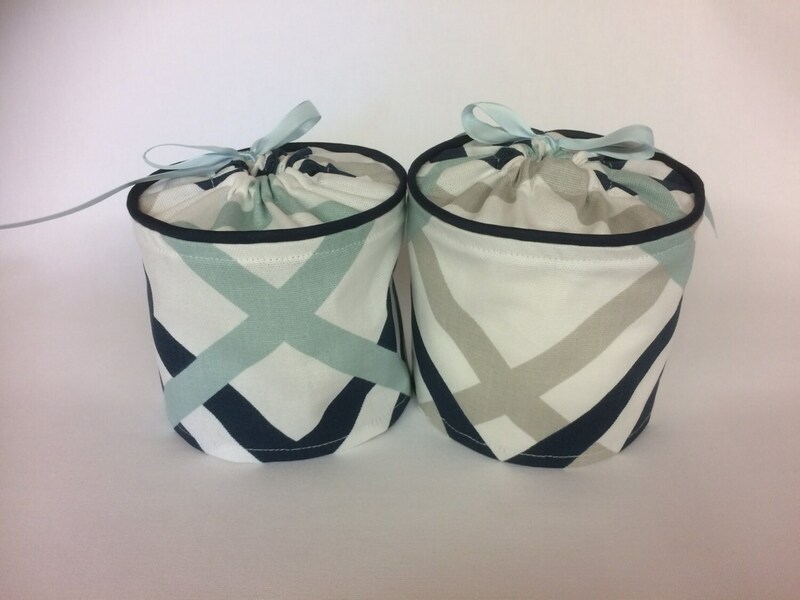 Once your order is received, it ships the next business day. Tracking information will be sent, allowing you to track your order right to your home. 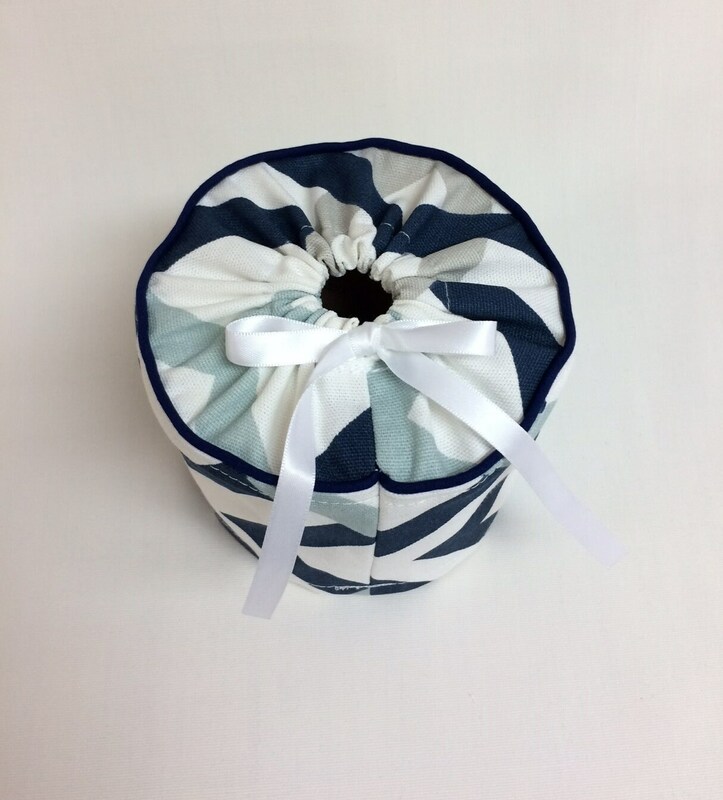 Whether you have a blue and white bathroom, a nautical decor or need a gift, this toilet paper cover is perfect. 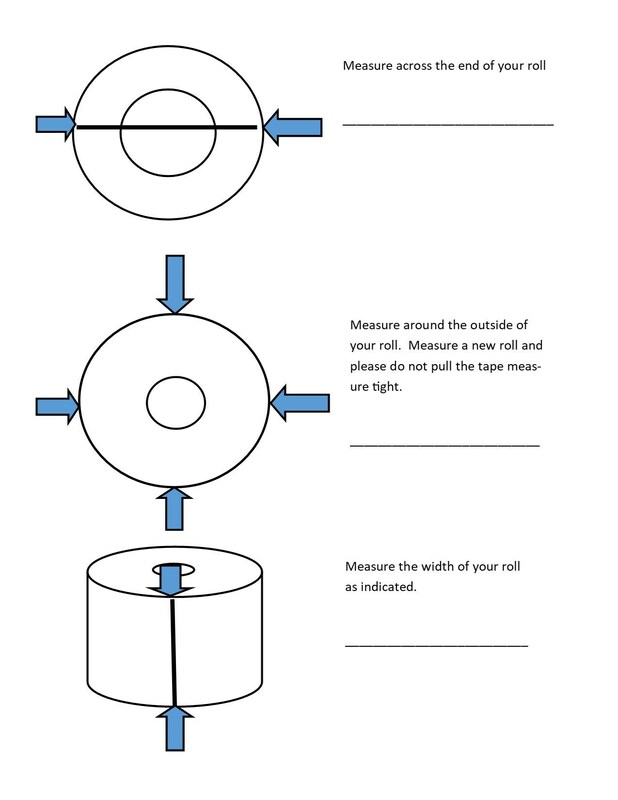 Place your order now, to keep your spare roll looking great until needed. I couldn't be happier with the product, and the customer service was absolutely out of this world! 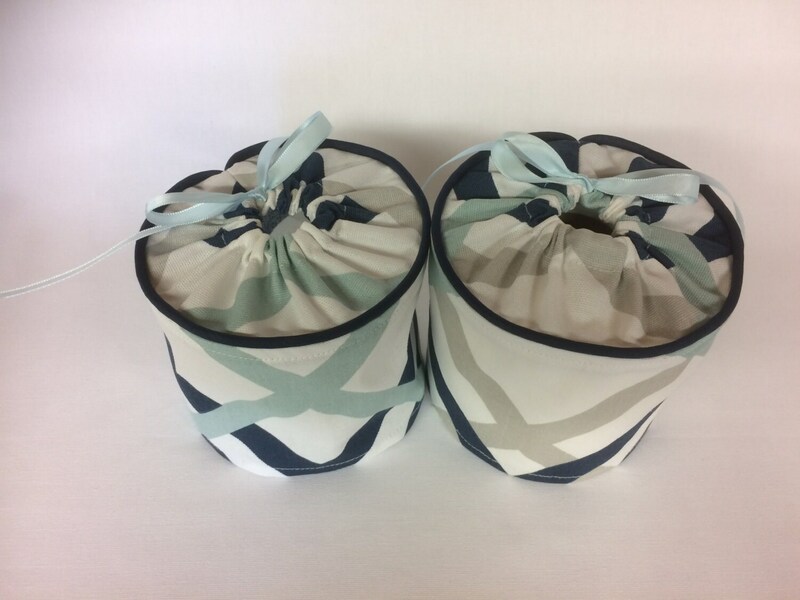 The covers I was sent didn't quite fit over my Costco Kirkland toilet paper rolls, so Joanna offered to make slightly larger ones to replace them, and then insisted I keep the old ones to give away. I measured and she made new ones that fit perfectly, and I'm thrilled. Thank you so much, Joanna!